Partnering with airlines and MROs to take the efficiency, reliability and profitability of their supply chains to the Next Level. Next Level Aviation, LLC is an ASA-100 accredited and FAA Advisory Circular 00-56B compliant supplier stocking QEC, airframe and APU rotable material for all Boeing and Airbus platforms, with a specialization in parts for B737NG/ B777/ A320/ A330 aircraft. At Next Level Aviation, we specialize in stocking QEC and airframe rotable material for the most modern aircraft in the worldwide fleet, such as the B737NG, B777, A320 and A330 aircraft platforms. We also trade whole APUs such as the GTCP131-9A/-9B and APS3200 as well as their associated LRUs. To become a trusted link in your airline, aircraft leasing company or MRO supply chain through the relentless adherence to our founding principles of decisiveness, integrity, impeccable quality assurance and superior customer service. Next Level Aviation offers a comprehensive suite of services to augment your in-house purchasing and/or repair coordinating team. These services are designed to help make your organization more efficient while simultaneously saving you money. Contact Next Level Aviation for any of these required services at sales@nextlevelaviation.net. 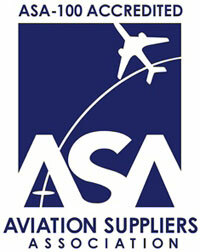 Next Level Aviation, LLC is an ASA-100 accredited and FAA Advisory Circular 00-56B compliant supplier. Quality assurance through attention to detail is paramount at Next Level Aviation. We take great pride in taking the time to correct any flaws in traceability of the material we sell, before shipping to our customers, so that there is no delay in the installation or further marketing of the unit. Please feel free to contact us regarding our services. We appreciate you taking a moment to learn more about Next Level Aviation. COPYRIGHT © 2018 Next Level Aviation, LLC.